Living in Kentuckiana is different than Florida in so many ways. One of those ways is taking pictures for this little ole blog. Some days there is not enough light coming into the house to take a good picture. I am definitely not used to that. Days of complete overcast-ness… very different. Yesterday, everytime I walked into my kitchen I had my camera and not one time was I able to get a picture of our new larder to share with you. Today was not that much better but it was good enough to make a go of it. There are still many boxes of cookbooks that we have yet to find, whose books will live on these shelves and I had to leave my preserves back in Florida so the shelves are bare in that respect, but for now, this is what it looks like. 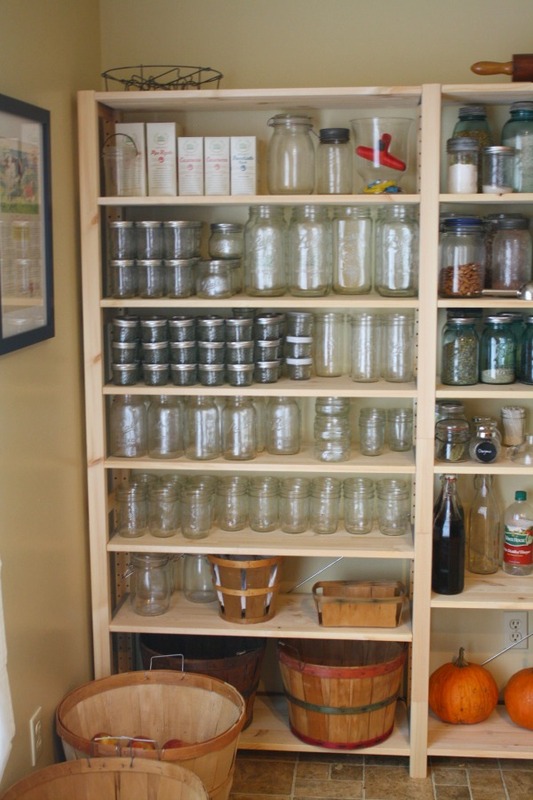 I have been collecting vintage blue and clear mason jars in every size for years. We did use them in our last home but they were tucked away in this and that pantry or cupboard so you never saw them in any pictures. Now they all live together and it makes me so very happy. Ingredients for food making for almost everything we make are right here where I can see them. If something runs low, I know it, before I start that recipe that might have been cancelled for lack of something or other. 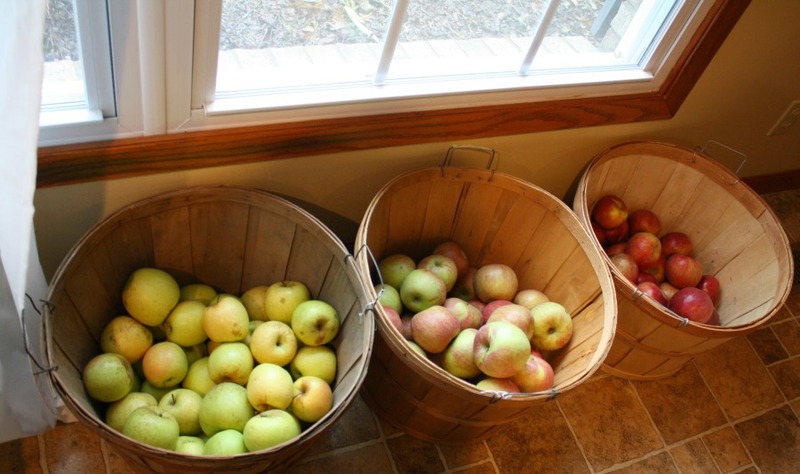 The fruits are right where my children can reach them, all washed and ready to eat. We have switched our way of preparing food in the past few years to using all fresh ingredients so no canned goods (other than the ones we can), very few boxes foods other than pastas and the occasional cereal for those nights or morning when there is no time. Everything else we eat is in the refrigerator or freezer and that’s it. The jars are all labeled by the top with the exception of some of the flip top jars which I intend to label in the next few days, though I know exactly what is in them, for the benefit of kitchen helpers who are not familiar with their contents. I will be back tomorrow to show you how I labeled them with “chalkboard” paper in a bunch of different colors for free. I love free. Oh and the cow picture? It is our running joke here. I picked it up in an antique shop. 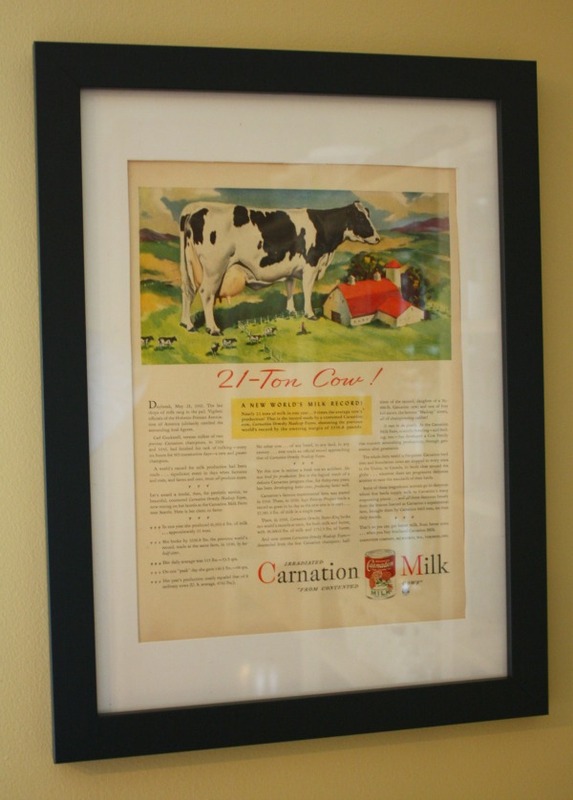 It is a 1940’s ad from a magazine that I brought home and had the perfect frame for it. The joke is that it is an ad for irradiated milk in a “real food pantry”. I love it and I think it fits in perfectly. So that’s it. 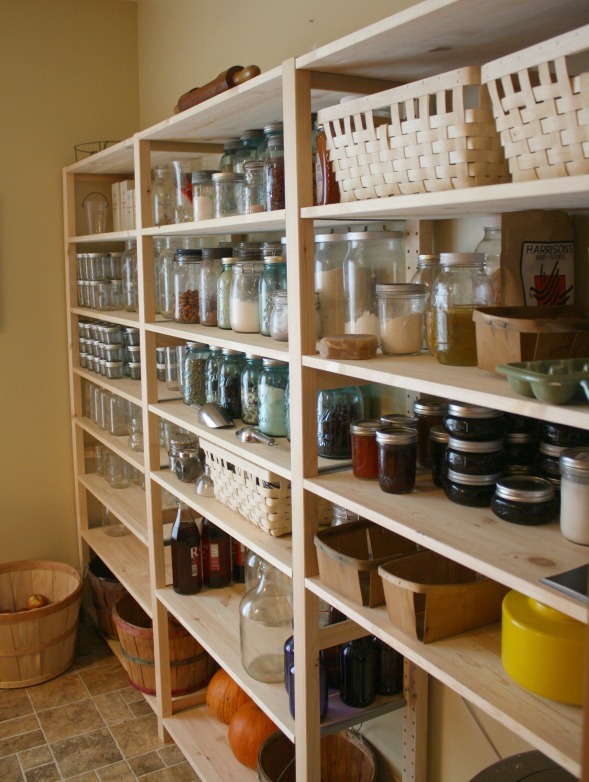 Our real food pantry. I hope you enjoyed your visit. Next time, maybe we can pop some popcorn and enjoy some tea. Hello! 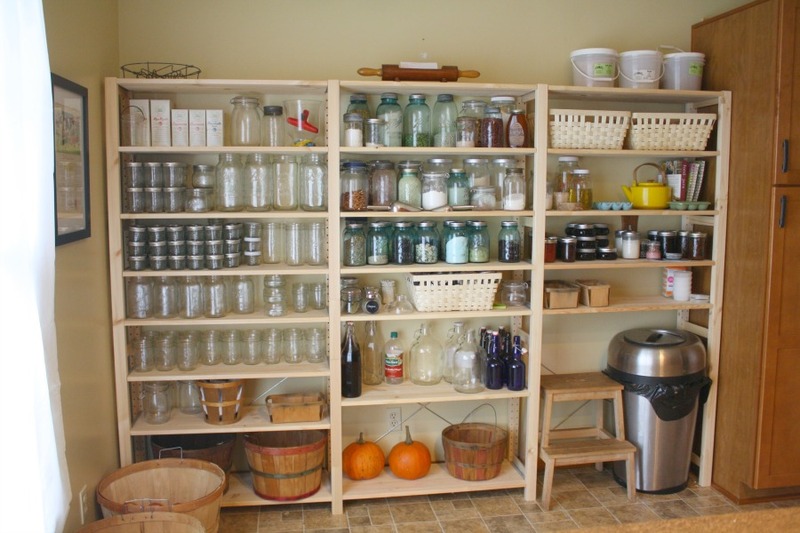 How has your pantry held up? Were you happy with your Ikea shelves? Hi Ariel! 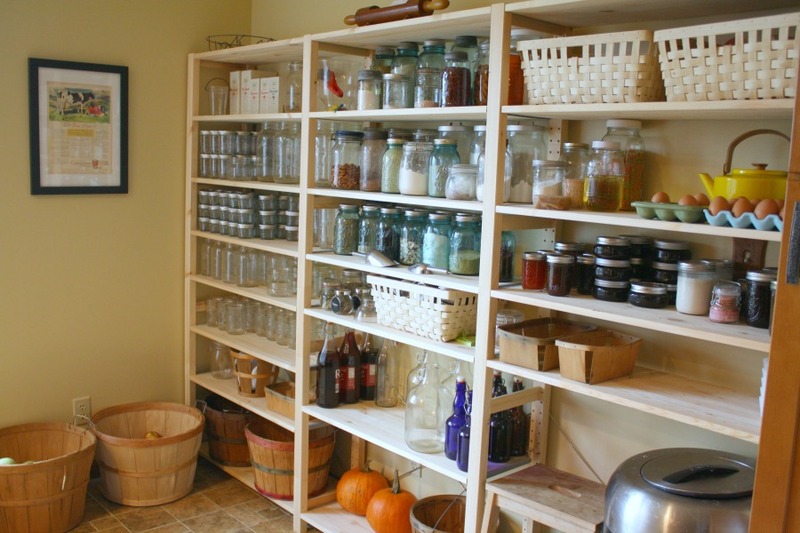 I am still very happy with the pantry shelves and just bought another two for my laundry room. They are really sturdy and a great buy. 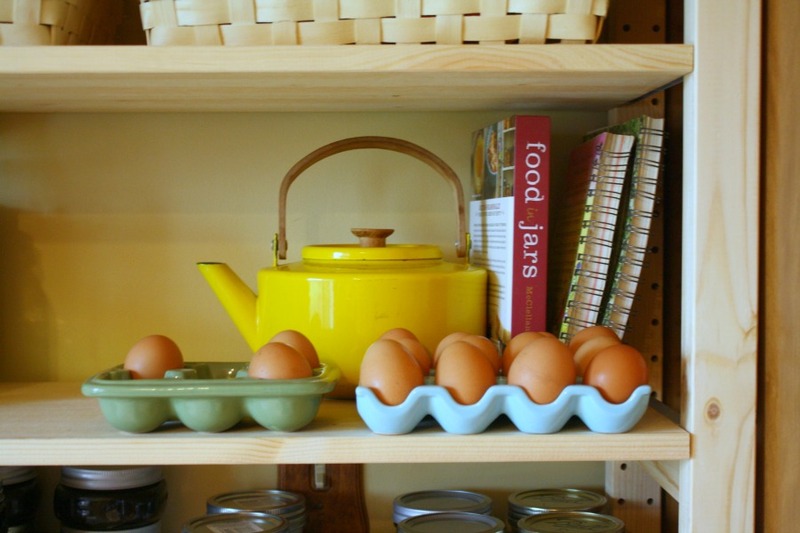 When I redid my kitchen I even had handyman cut down the center shelves on one of them and those look great too. Ashley, Here is a link, its the IVAR http://www.ikea.com/us/en/catalog/products/S49898…. There are many sizes and you can customize it by the pieces you choose. Good luck! Oh! Wow! I LOVE IT! 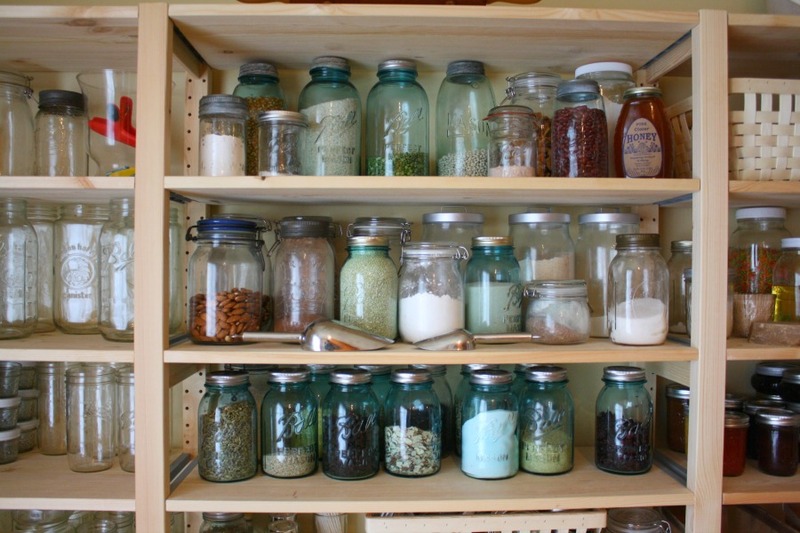 I love your pantry. 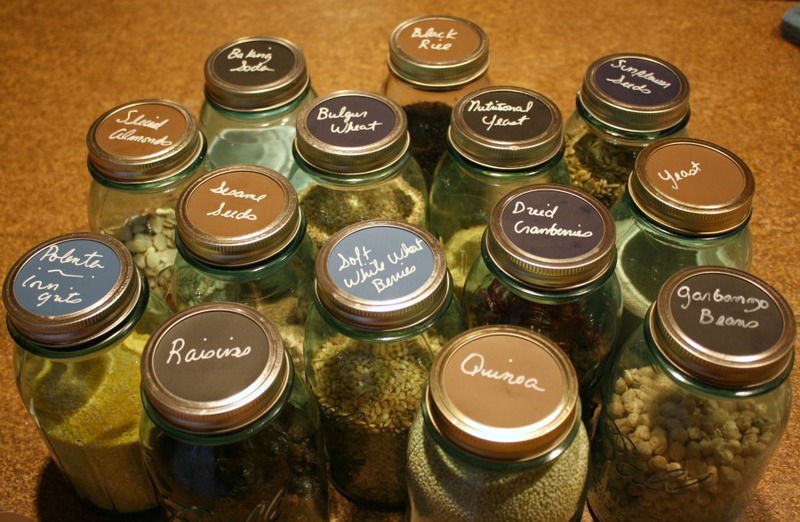 Organization is crucial when making anything from scratch unless your an expert on substitution (which I'm not). Do you have potatoes somewhere in your pantry and/or onions? I see you have eggs on your pantry shelf. You don't refrigerate your eggs? Or are those fake for the picture? I just wanted to say that I know exactly what you mean about the sunshine in Florida! We don't realize how spoiled we are in the sunshine state until we move away. I too am getting used to this whole new concept of overcast days. 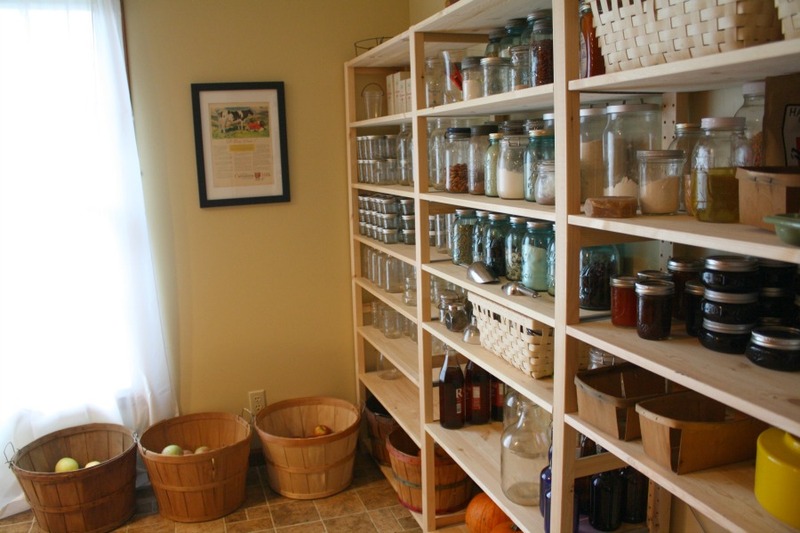 Love your new pantry! What a wonderful thing to have! Tea and popcorn sound good to me! I can't wait to hear all about the chalkboard paper.